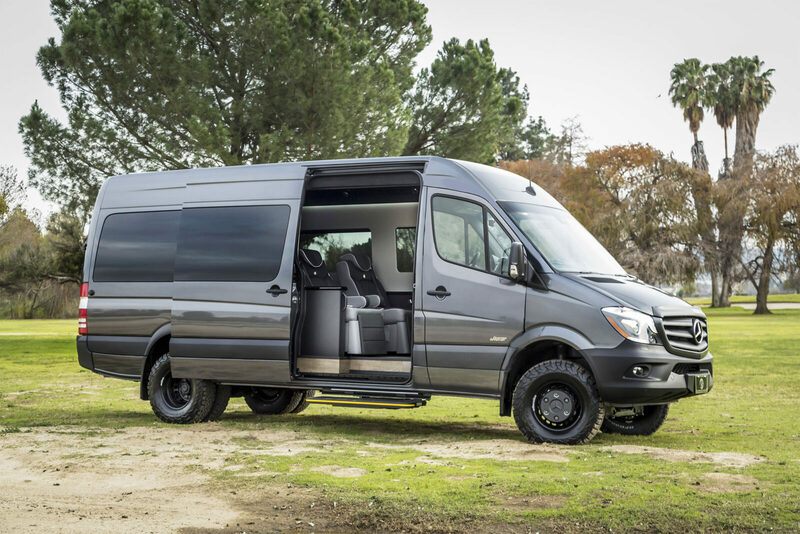 Safety is also an important factor that we considered when designing our Sprinter motorized door. We have a child safety sensor on the door to stop it if someone is in the way and with a light touch you can push the door open again. We also added a motorized step that emerges and retracts as the door opens and closes. Lastly, in case you forgot to close the door, it automatically closes as soon as the Sprinter starts driving. All of these features help make the Bespoke experience the best luxury van on the market.